One of the nice things about RootsTech is that some of the session are livestreamed: shown in real time, live, free, to anyone who cares to sit in. No, it’s not the same thing as being here in Salt Lake City. Nothing can compare to that. Being here means, among other things, being with thousands of other people who share our joy in researching our families and who don’t roll their eyes when we start talking about our latest find on microfilm. Being here means an exhibit hall so big you couldn’t see everything if you had three weeks, much less three days. Being here means getting two for one in terms of genealogical education because the Federation of Genealogical Societies 2015 conference is going on at the same time and attendees can go to both for a small additional fee. 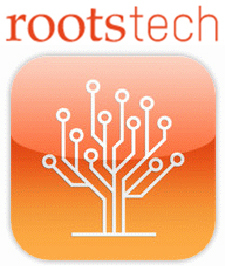 So head on over to the RootsTech website for the livestreamed sessions. The link to join in the fun will be there when livestreaming starts, and the schedule is there now. Great positives from your workshop tweeted, Judy. You’re a superb teacher.